Here's a small collection of projects I've built for iOS. 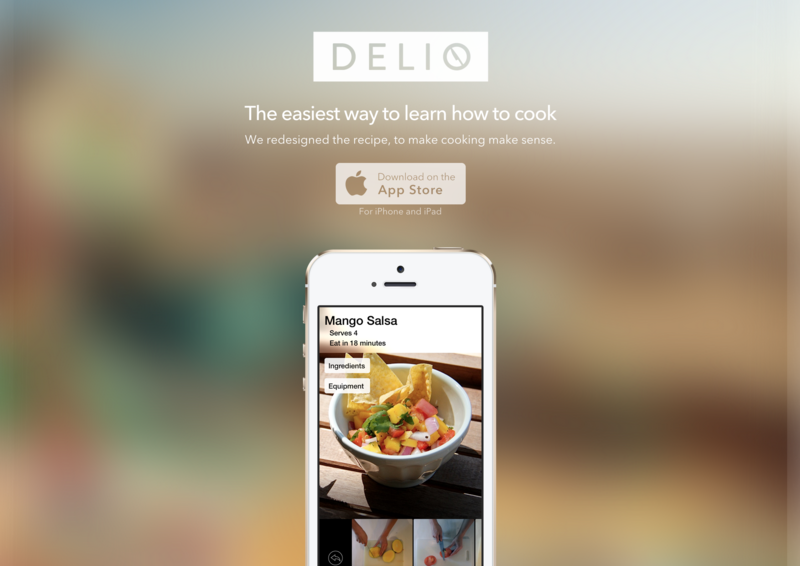 Delio is the company and app that Drew and I founded and built as members of The Next 36's 2014 cohort. Our aim was to create the easiest way for young adults to learn how to cook. I designed and developed v1.0 of the universal iOS app, and conducted a private beta test to validate product/market fit. The problem that we identified was that many young adults cannot cook, but not because of a lack of effort. Existing resources often assumed a baseline knowledge that many of them didn't have. This, among other problems, discouraged would-be cooks. To solve this, Delio was designed to make cooking as simple as possible. Delio breaks recipes down into a series of short videos, each depicting a single, easily replicable action. Delio was shut down following the completion of a private beta with over 100 users. Following the shut down, we decided to open source the code for the app - go ahead and give it a read! Blynk is a company and app that provides users with their own personal, virtual stylist. Co-founded by two great friends of mine, Shums and Jaclyn, I had the opportunity to work with them briefly conducting a comprehensive overhaul of their iOS app. I conceptualized and implemented several new features, including a social following and recommendation system, a new notification system, and a commenting system. The goal of these features was to increase the stickiness of the experience. I also redesigned the app, simplifying the core experience while also adding new features. The main focus was on simplicity; unnecessary chrome and buttons were removed from the home screen, making way for a new, global menu. This greatly simplified navigation through the app and allowed for the inclusion of more complex features. Blynk was recently acquired by Kik (December 2015). Hey, my name's Nathan, and I make things. If you enjoyed reading about my adventures in iOS, check out what I did this past year in VR.